Suffolk (Wannalicit) Mills - Take a day trip! Suffolk Mills, now redeveloped and named Wannalacit Mills, is part of Lowell National Historic Park and has a fascinating exhibit with a working water-powered loom, some vintage equipment that was used to harness the water power of the Merrimack River and some informational exhibits. Some of the highlights include the demonstration of a working water-powered loom that turned Lowell into one of the first industrial cities in the United States, a flywheel showing off one of the key innovations that allowed Lowell to thrive and several other pieces of equipment that turned the running water and 32 foot drop of the Merrimack River in Lowell into the power to produce almost a million yards of cotton cloth a week when Lowell was at its peak! 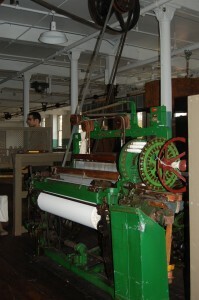 A working water-powered loom that was typical of the time and actually used in this mill when it was producing cotton cloth. It is turned on and used during a ranger tour when the appropriate precautions can be taken. 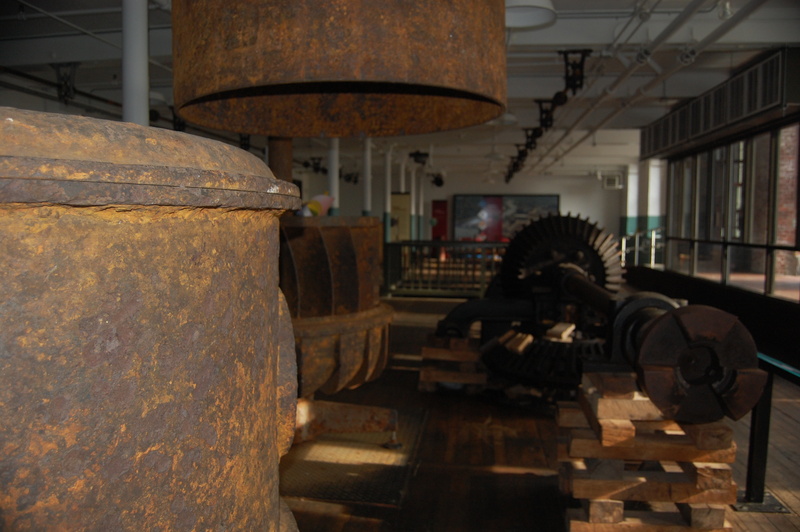 An exhibit with equipment used to take the gravity fed power of the Merrimack River and convert it into the power to run the looms at this facility including a huge flywheel, a major innovation that allowed Lowell to grow and thrive. An exhibit discussing the changing water quality of the Merrimack River and other environment issues that Lowell has dealt with over time. There aren’t any facilities in this building, however facilities are available at one of the many restaurants nearby in the downtown area and in the National Historic Park Visitor Center. You might not be able to access this building without being on a tour and you won’t be able to see the weaving machine in operation without a ranger there to turn it on safely. 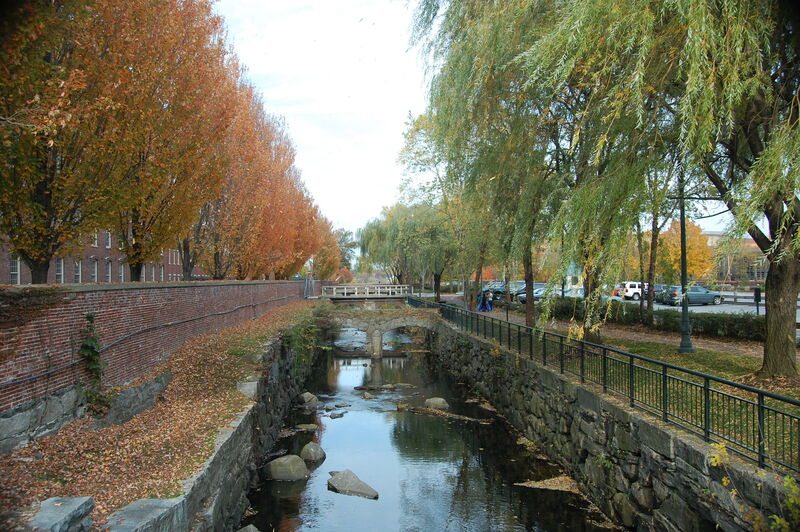 Suffolk (Wannalancit) Mills is located at 175 Cabot St. in Lowell if you’re using a GPS device and planning to drive there. If you’re on the trolley tour it’s only a short walk from the Suffolk Mill stop and the trolley leaves from the Visitor Center and Headquarters. If you’re planning to walk there from the visitor center grab a park map and plan on 15+ minutes of walking time.